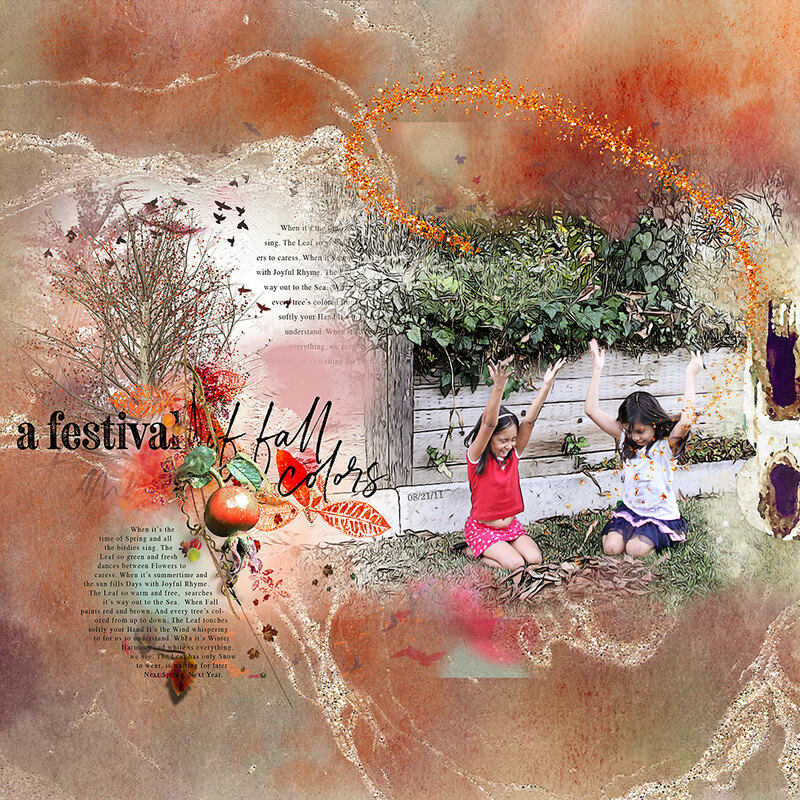 Indian Summer Collection – Inspiration by Flor (aka twinsmomflor) Hello scrappers, Flor here with the Indian Summer Collection a warm rich collection, love the different styles of papers and the multiphoton templates plus the texture, brushes, etc. 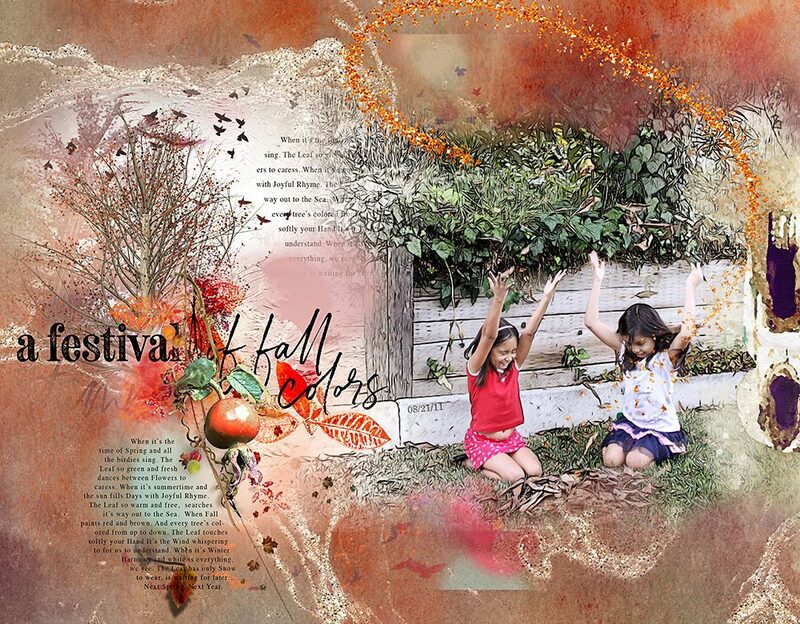 The art layers are so perfect and you can tweak it to your style. A lot of goodies to play. Don’t miss the fabulous 30% discount.